2.Make sure that it could afford tearing and wearing by both sides of the wear-resistant fabric. 3.Shorten time of dealing with leakage by reasonable distribution of pore-like structure . 3.What's the lead time9 around 30 days after the confirmation of pre-production samples. Henan Longzhimei Industrial Co., Ltd.
Q2:What is your terms of payment9 A2:T/T 30% as deposit, and 70% before delivery. The specific delivery time depends on the items and the quantity of your order. Q7:Do you test all your goods before delivery9 A7:Yes, we have 100% test before delivery. 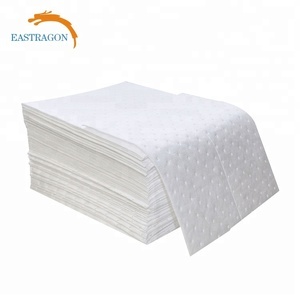 They are used like wipe and are very versatile for getting at hard to reach areas. NTNICE is a customer oriented We focus on delivering our clients superior products and services. Our goal is to build long term cooperation relationships with customers. 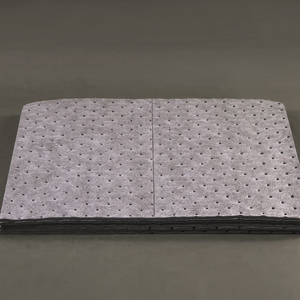 Adsorbent pads and sheets are made from Meltblown polypropylene fine fibres. Fast absorb, They are comprised of thebest available basic meltblown polypropylene. containment and clearing up of oilspills in ocean & river, lake, shipping terminal, crude storage . 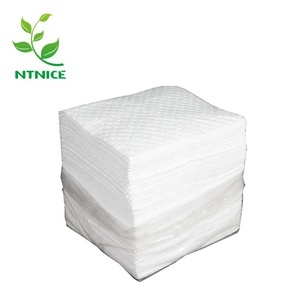 Hot sale chemical absorbent pads The process of melt blown nonwoven fabric The polymer is fed into the melt extrusion &rarr; fiber forming &rarr; fiber cooling &rarr; web formationt &rarr; the reinforcement into the fabric. 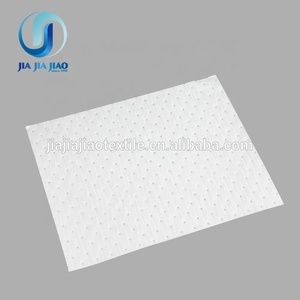 Product Information More information of the product Item Hot sale chemical absorbent pads Material 100% polypropylene Nonwoven technics Melt-blown Width according client Request. 4. After sales services ,we will response your questions whithin 24hours. Each kit is available in Oil Only for. Each kit is avaliable in Oil Only for. Packing: 1) PE bag, for ease of use and quick response to clean up spillages. We provide super quality products and best services, professional customer representatives and rich product knowledge, which can help you to choose the right products for your needs. In order to provide customers with quality products and professional service, we have 12 engineers, 35 professional and technical workers . 5. Does your product is in stock or make to order9 Normal products are in stock, others are Make to order. Ningbo Ruijin Marine Materials Co., Ltd.
2. By air or sea through your nomination forwarder is the normal way I do. 2. All colors and sizes are available. 5. Strict quality testing and control system,complete after-sale service. 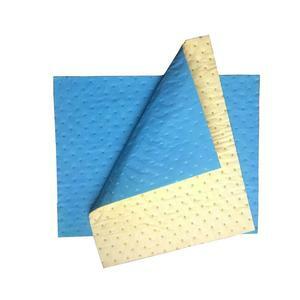 Alibaba.com offers 3,456 oil absorbent pads products. About 71% of these are other environmental products, 1% are water treatment, and 1% are other safety products. 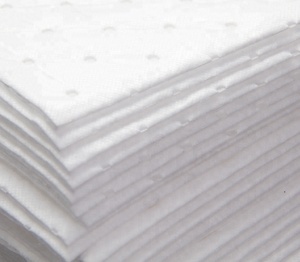 A wide variety of oil absorbent pads options are available to you, such as free samples, paid samples. 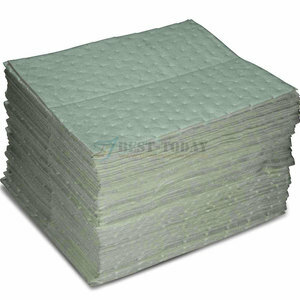 There are 3,430 oil absorbent pads suppliers, mainly located in Asia. 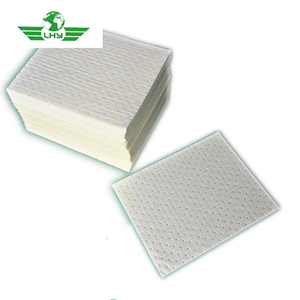 The top supplying countries are China (Mainland), Taiwan, and South Korea, which supply 98%, 1%, and 1% of oil absorbent pads respectively. 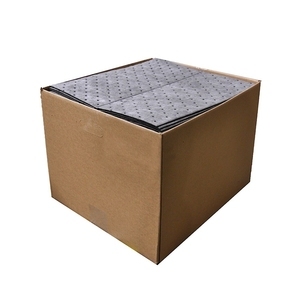 Oil absorbent pads products are most popular in North America, Domestic Market, and Oceania. You can ensure product safety by selecting from certified suppliers, including 980 with ISO9001, 727 with ISO14001, and 304 with Other certification.